Fred and I are getting very close to the beginning of our great adventure. We are working to pack up and load the RV and to get all of our travel plans in order. The hard part of downsizing from a 4 bedroom house to a 400 square foot motor coach is done. There may be a few more difficult decisions to make when something we want to bring along doesn't fit but we will face those small issues when they arise. We are almost ready to set out to live the American dream of exploring new places and moving freely about this great country of ours. As we use our Smartphones, GPS devices and Internet mapping apps to order our supplies, plan our route and make reservations I can't help but think about all of those that have gone before us and paved the paths of America. Imagine leaving everything you know and love to travel to a place you have only heard of with no way to to contact those you have left behind. Imagine packing everything you can take with you into a covered wagon and walking or riding a horse to California or Oregon. 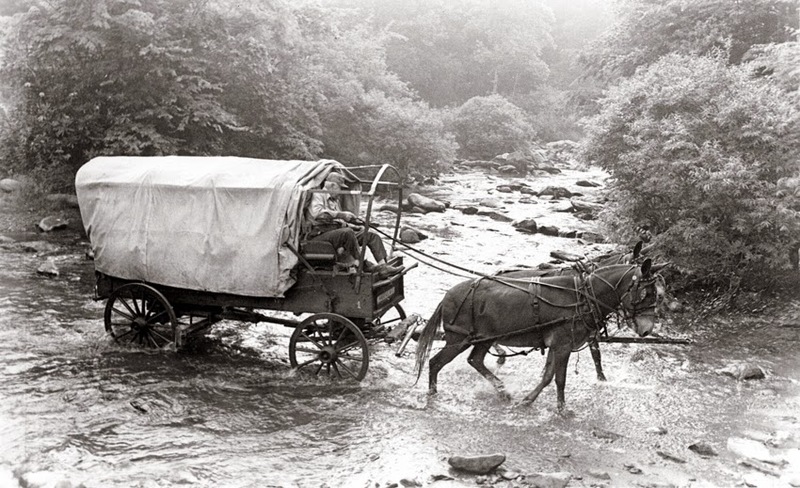 You might not know where a source of fresh water was located, you would be without benefit of plumbing, and would have only that canvas cover on the wagon to protect you from the elements. We are happy to be able to be traveling with most of the comforts of home, even if it does make me feel like a wimp in comparison. Until we meet again Charlene.